Yes we all know that they fucked up Butterfree and Venomoth. Can we move on with our lives now? so your saying that butterflies come from gnats, do you really expect me to believe that? 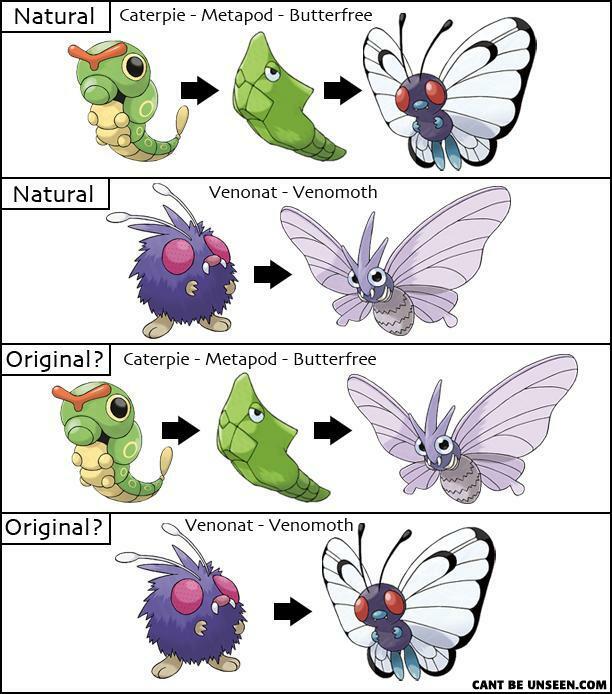 The name should still be the same, as Venomoth resembles a moth, and Butterfree a... butterfly. Also, how is it an America fail? Yes because translating a game totally effects the programming in a way such as this. I actually just noticed this the other day.